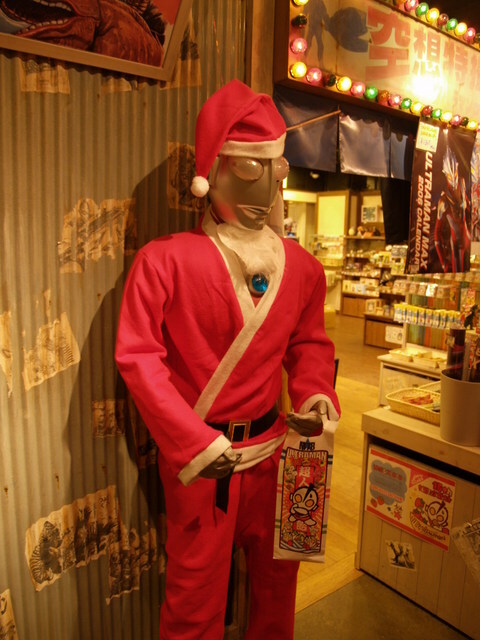 Although Christmas is not an official holiday in Japan, it is observed in other ways. On Christmas Eve and Christmas, one can find lines of Japanese standing outside of KFC for a little bit of the Colonel's Christmas Chicken. Christmas Cake is a popular item which sells for about 30-50 bucks at convenience stores. It's also a term used to refer to women over 26. For young couples, Christmas is a big date night and many of them go to love hotels. 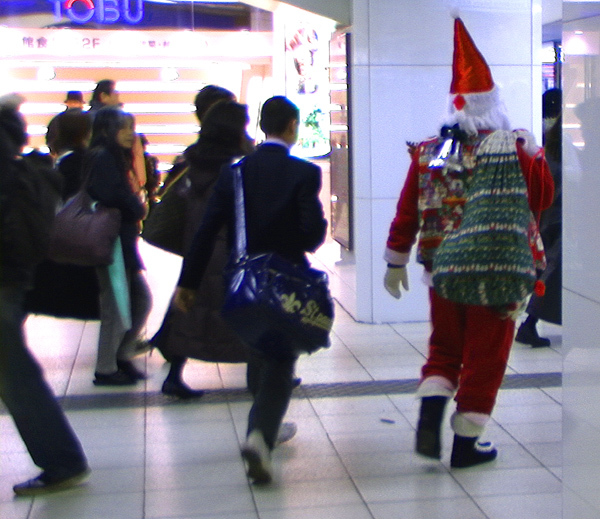 Santa strolling through a Tokyo train station. Times must be tough at the North Pole as Santa Claus is forced to lay off his reindeer and resort to public transportation. While I was changing trains at a station in Tokyo, I came across Santa doing a milk run in Tokyo trying out the train system. "Tokyo Decadance" put on a Christmas club event with plenty of interesting folks and some cuties in Xmas outfits. Tokyo Decadance is a semi-monthly club event which is a melting pot of various subcultures in Japan. 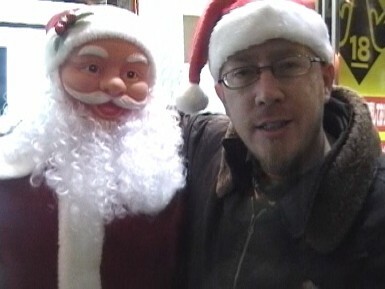 The following video is a photo montage of Tokyo Decadance's Christmas event.